Closeout. Surfand#39;s up? 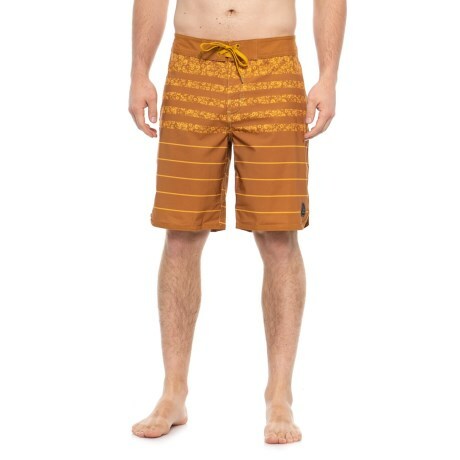 Well maybe not, but even if youand#39;re totally landlocked youand#39;ll still love the boardshort style and stretchy comfort of prAnaand#39;s High Seas boardshorts. Available Colors: CUMIN FIELD STRIPE.